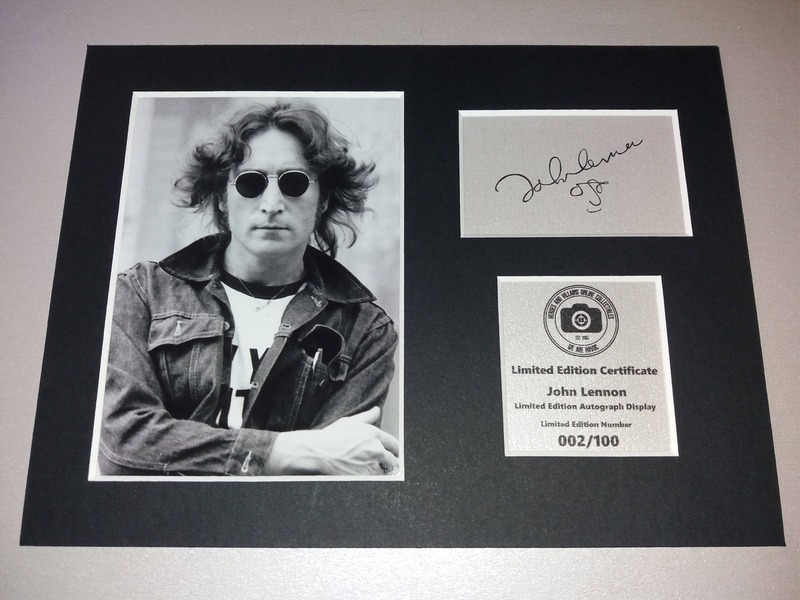 This item consists of a matte-black, 8x6 inch, acid free 2mm mountboard, with 3 bevel cut apertures that contain a glossy, high-resolution photograph, with a digitally reproduced autograph and a uniquely numbered limited edition certificate that are both printed onto metallic silver card to ensure a professional finish. ● All items are fully mounted and backed so can easily be framed. ● Total size of item is 8x6 inches. ● All original autographs were either obtained by ourselves or purchased from reputable sources. ● We use professional printing equipment for exceptional quality and special non-fade inks. ● We have a very large autograph collection. Feel free to ask for any specific autograph, even if it isn’t currently listed. ● All items are posted in protective envelopes to prevent damage in transit. ● 1st Class UK Delivery is £0.50p for the first item and £0.25p for each additional item. ● Standard EU Delivery is £3.99 for the first item and £1.99 for each additional item. ● Standard Worldwide Delivery is £4.99 for the first item and £1.99 for each additional item. ● EU Delivery usually takes 4-6 business days from dispatch. ● Deliveries to the US and Canada usually take 5-7 business days from dispatch. ● Deliveries to all other international destinations vary so please ask for more details. ● Tracking information is not available for standard services but we now use the new Royal Mail Despatch Manager system which allows us to print barcoded shipping labels which are scanned at various locations and this information can be used by Royal Mail if a package is reported as lost or stolen. Do you have any additional questions? Please don’t hesitate to ask, and we will get back to you as quickly as possible. PLEASE NOTE: The photograph of the listing is for stock purposes, and so the limited edition number you will receive may differ from the photograph listed. Rien à dire, conforme à la description. Beatle-loving boyfriend loves it! Shipping was slightly delayed but Baz was very prompt and helpful in getting the issue resolved.